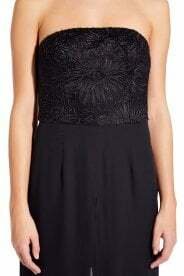 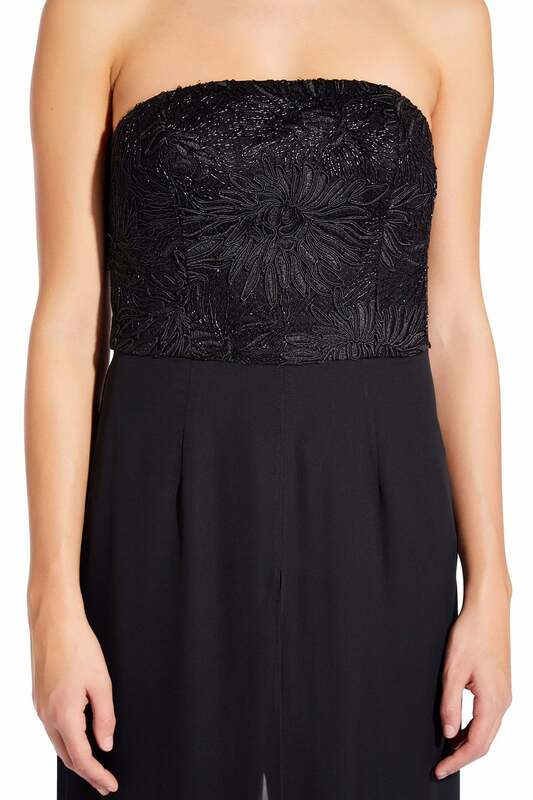 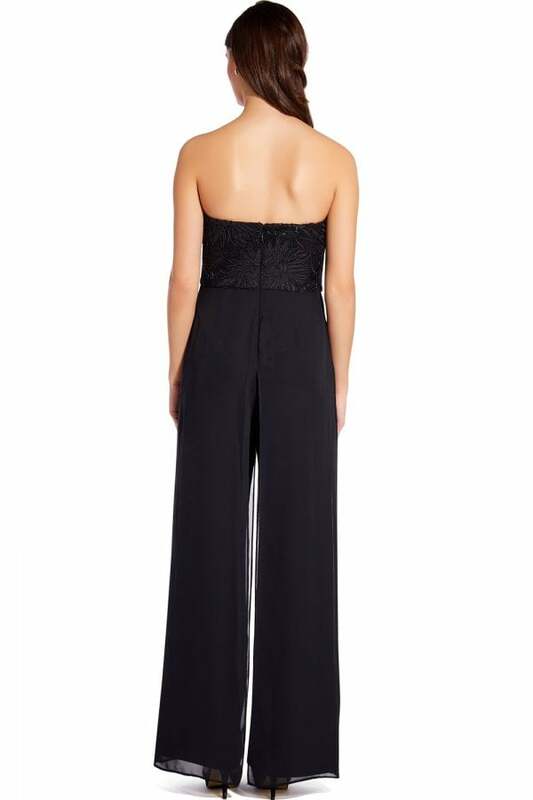 Black strapless jumpsuit by Adrianna Papell featuring a lace bodice, beautifully embellished with a shimmering floral pattern, created in black cord. 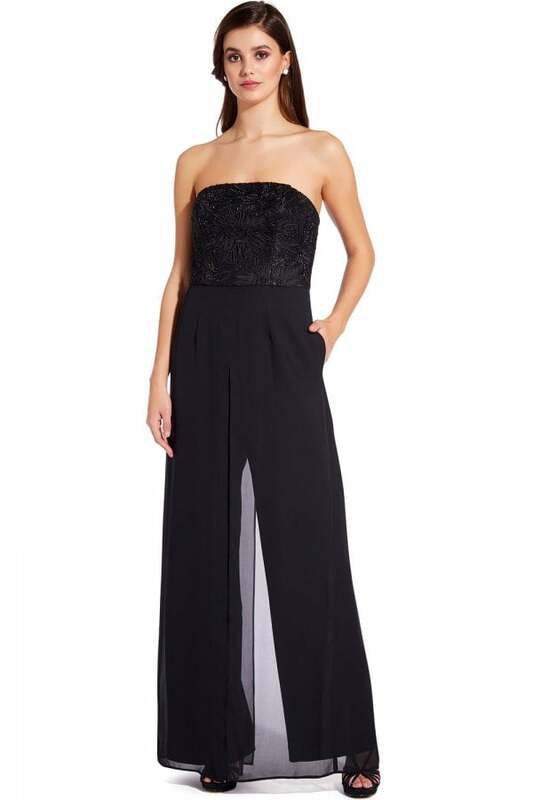 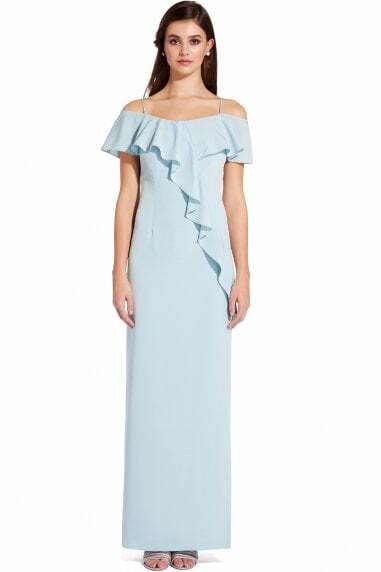 This stylish all-in-one is perfectly offset by a wide cut leg made from stretch crepe, enhanced by a fluid chiffon overlay. 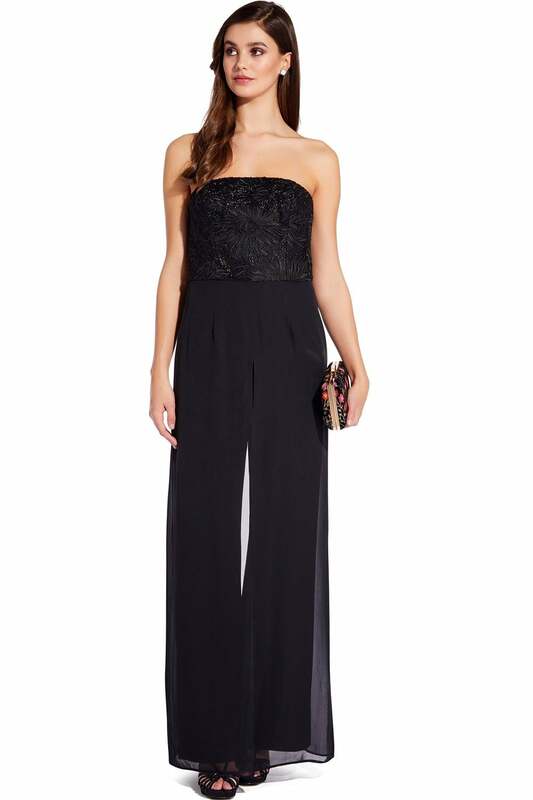 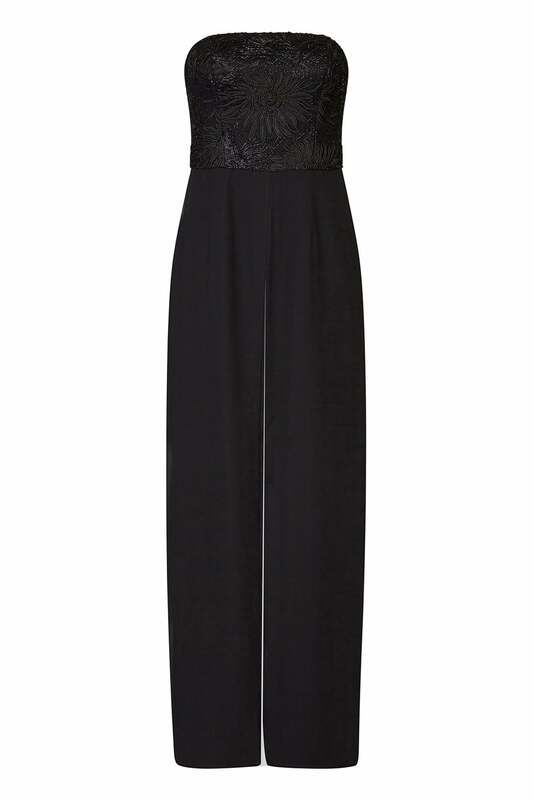 Partly lined, this evening jumpsuit has a lightly boned bodice, ensuring a fine fit and finish.